Grab your cowboy boots and 10 gallon hat and get ready to bust Seattle's newest mechanical bull ride! If you want a Wild West party, 'Bevo' is the mechanical bull to rent! 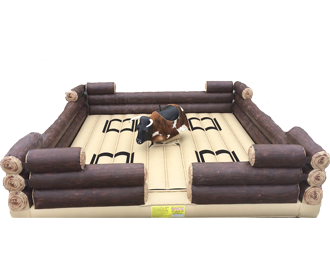 This rodeo experience has six levels of difficulty ranging from easy for the young buckaroos to difficult for even Pecos Pete! A certified operator is on hand to make sure your riders are suitably challenged.